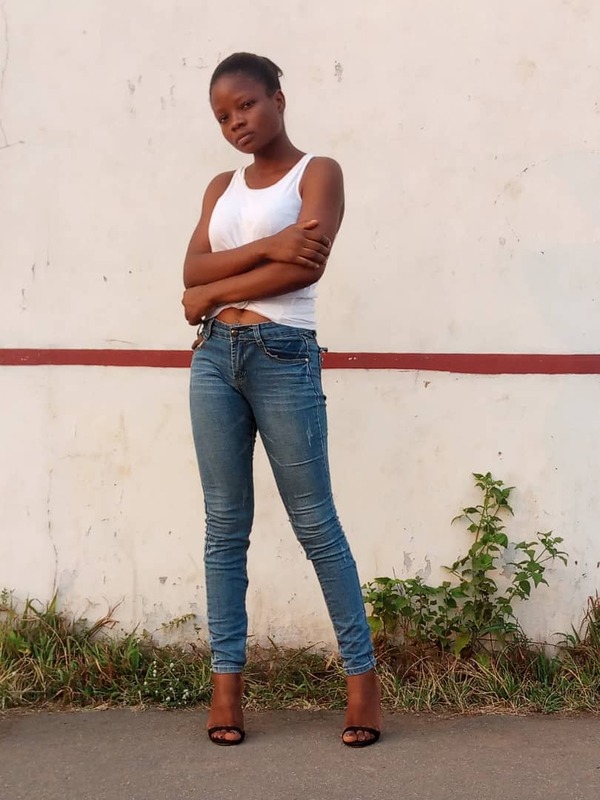 The Presidency have this Friday afternoon, addressed media reports claiming that there would Federal Government holiday on June 12 which has replaced May 29 as Democracy Day. 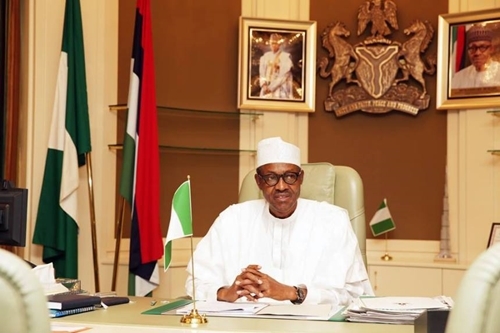 The President Muhamamdu Buhari-led Federal Government, have on Friday, said that June 12 which has now replaced May 29 as Democracy Day, will take effect from 2019. 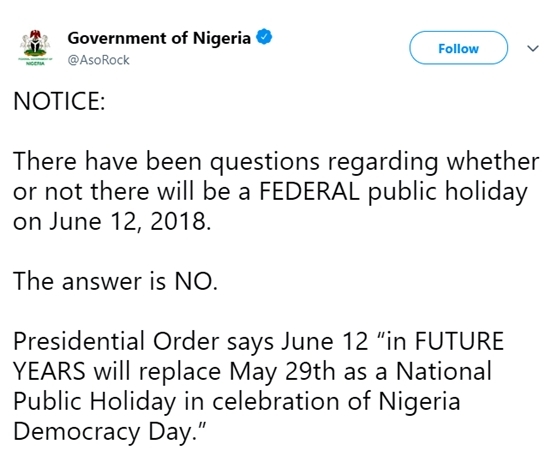 The Presidency explained that the clarification was in a bid to clear the air as to whether there will be a public holiday on the June 12, 2018.